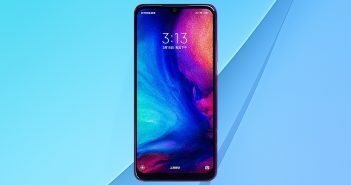 During the course of this year, the most popular trend on smartphones was narrow and thin bezels accompanied with a notch on the display. Interestingly, the latest report shows that Samsung is working on a smartphone that will come with the camera and sensors under the display. 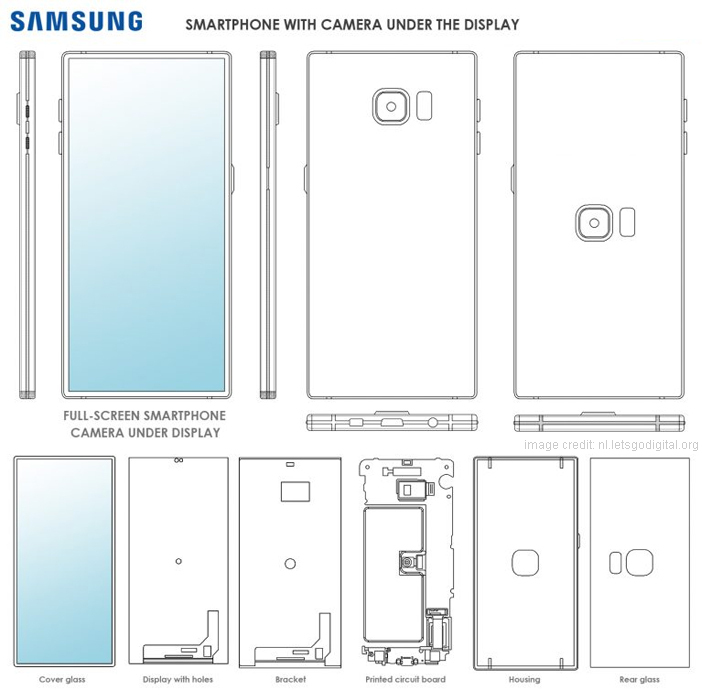 The patent filed by the company reveals an upcoming Samsung smartphone with the camera, in-display fingerprint scanner, microphone, receiver and antenna positioned under the display. 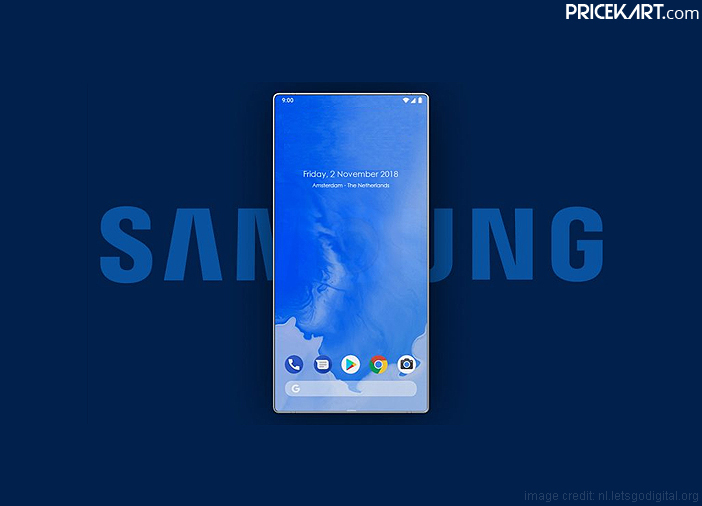 Samsung’s new innovation will introduce a smartphone that will completely bid farewell to the notch design. The patent shows how Samsung is working on incorporating various sensors under the display. According to the renders, the upcoming Samsung smartphone will feature a transparent antenna. This antenna will be positioned between the cover glass and the display. Additionally, the microphone and receiver will be placed in the small hole as seen on the display and the cover glass. And like most of the latest smartphones, even this upcoming Samsung smartphone will come with the fingerprint sensor under the display. Moreover, along with all these sensors, even the front camera will be positioned under the display. 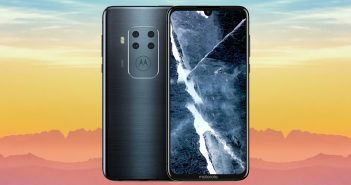 The reports also state that the display of the smartphone might be supported by a hologram device. With the addition of a hologram device, the smartphone will be capable of projecting 3D images in the air. If not a hologram device, Samsung might integrate a projector in the display of the smartphone. 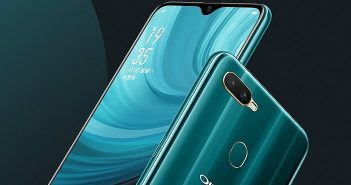 Furthermore, the rear panel of the device will be designed with tempered glass. Instead of getting rid of the 3.5mm headphone jack, Samsung has incorporated this connectivity feature at the bottom. With so many smartphone manufacturers ditching the headphone jack, it is a wonder that Samsung has stuck to the audio connection. As of now, there are no details when Samsung will launch this smartphone. However, we can expect it to make its debut in 2019. 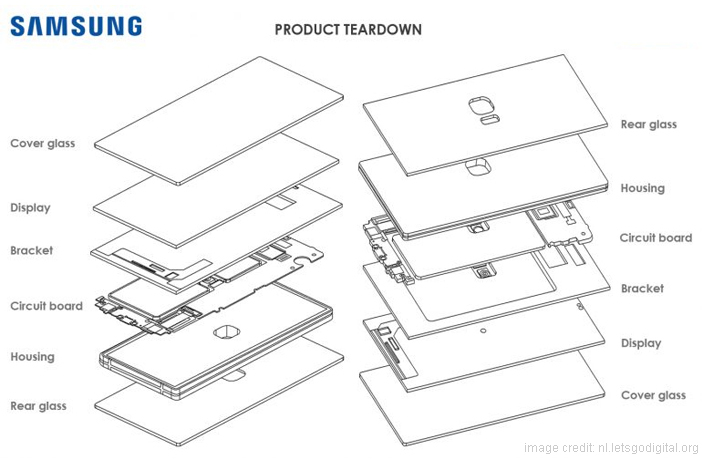 Samsung will also launch its most talked about foldable smartphone next year.